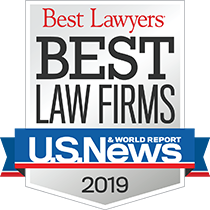 J. Owen Todd, a Founding Partner of the firm, has been selected by Lawyer Monthly as Lawyer of the Year in the U.S. for Alternative Dispute Resolution. Chosen as Lawyer of the Year in two categories – Legal Awards 2017 and Private Clients Awards 2018 – Mr. Todd has a vibrant ADR practice, regularly overseeing arbitrations and mediations as an arbitrator and mediator. He served as a Massachusetts Superior Court Judge from 1988 to 1992. 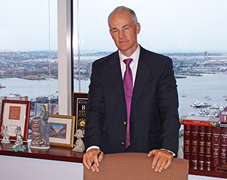 During his distinguished legal career, Mr. Todd has handled virtually every kind of case from murder to mass tort litigation, and from bankruptcy litigation to "bet-the-company" commercial cases. Among his many awards, he is a fellow in the American College of Trial Lawyers, and is consistently named in the Best Lawyers in America and Chambers USA directories. Selection by Lawyer Monthly as a Lawyer of the Year is based on voting by Lawyer Monthly readership, and a point-based evaluation system assessing factors such as votes received, level of expertise and personal achievements, and peer recognition.